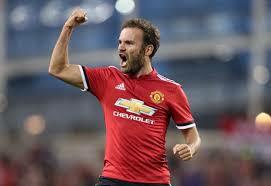 During his recent visit to Mumbai slums, Manchester footballer Juan Mata has made up his mind to support the disadvantaged children by contributing 1% of his earnings to charity. The star footballer decision to take up the cause by contributing towards the society from his earning is an initiative which needs appreciation, also setting an example for others to follow. Through his initiative named “Common Goal” which shares a common agenda to give back to the society through football. As we all know football is a team game which signifies teamwork with the involvement of all eleven players from the team and each members contribution is vital to set the goal post moving. So perhaps the common goal is one such initiative which has the potential to contribute towards the society by taking up causes which affect the society to a larger extent. The act of voluntarily contributing 1% of his earning towards charity is nothing but an initiative which is like leading by example. He, in fact, requested his fellow footballers to follow his path for a greater common cause. 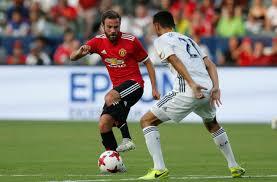 The Spanish footballer who earns 140,000 pounds in old Trafford a week has set to contribute to the common goal which is a charity consist of 120 collective funds in 80 countries. The footballer felt that he has been fortunate to have chosen football as his career, the sports has given a lot towards his personal growth , But he also said that his simple gesture to give back something to the society could change the life of less privileged who have been finding hard to get one square meal a day from different parts of the Globe. He said he will also encourage his teammates to contribute a percentage of their earnings for the charity named “Common goal”. I think this is an excellent example of an individual’s social commitment towards the society, above all he represents the true qualities of a leader who shoulders the responsibility of collectively making a change in the society. Let this initiative be the guiding force for other personalities in sports to follow his path and start contributing towards this objective. Let this be the common goal for all to pursue and make some significant changes globally. I think other than entertaining the masses with skills, sports can also contribute socially also.